25 countries across 6 continents, neuroscience professionals and graduate-level students prepare youth from ages 14-18 with study materials and guidance on neurological diseases, brain anatomy, sensory systems, and cellular mechanisms regulating memory, movement, sleep, and emotions, among other functions. 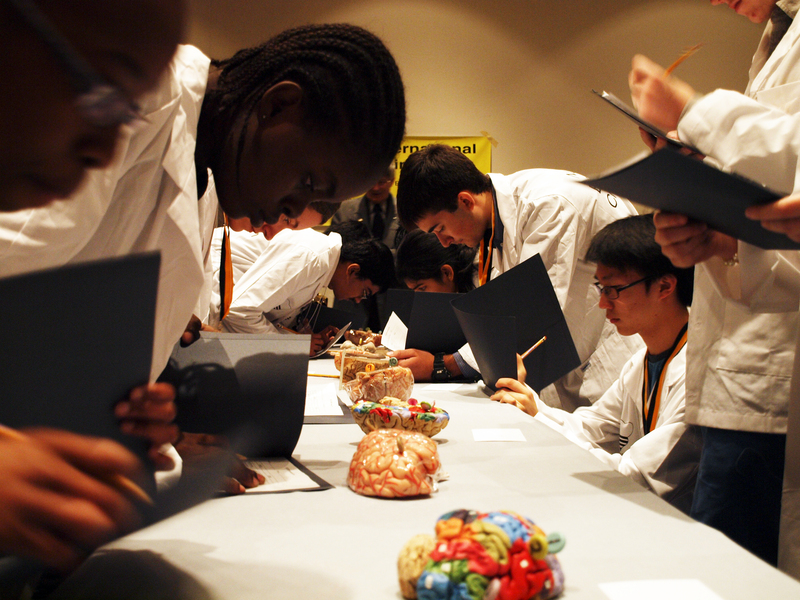 The program exists at the regional, national, and international levels, coordinated by independent committees under the guidelines of the International Brain Bee. The competition includes patient diagnosis with live patient actors, a neuroanatomical practical using real human brains, and live question-and-answer sessions moderated by a judging panel of expert neuroscientists. Program elements also facilitate short- and long-term interaction between youth and scientists, often including tours of research laboratories, school presentations, and research internships. 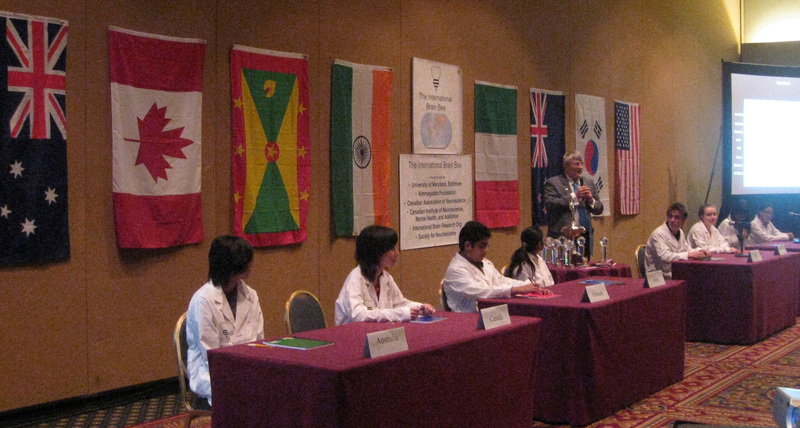 At the 2013 International Brain Bee competition, in addition to participating in the contest, the group of 20-25 national Brain Bee Champions will experience how science is advanced in this modern age through their active engagement in the host conference, either the World Congress of Neurology or the Annual Meeting of the American Psychological Association. The unique connections the students cultivate among themselves are strengthened by the alumni program recently implemented to encourage internships, provide information about higher education, and support their cross-cultural exchange of ideas and motivations long after the event is completed.